Yamaha has added two new models to its range of PSR-S arranger workstation range, showing them off at Winter NAMM 2018. The PSR-S975 supersedes the PSR-970 and is now hailed as the “ultimate PSR”, while the PSR-775 takes over from the PSR-S770. Yamaha’s new flagship PSR arranger workstation builds upon the functions found in all its PSR-S range, adding new powerful performance features, effects, vocal harmony, and external display abilities. 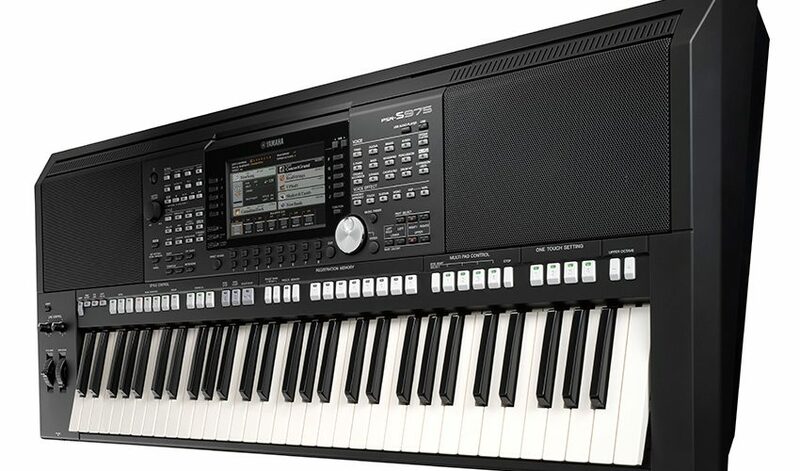 As form factor goes, it sticks with the 61 keys (5 octaves) in common with other PSR-S models. Though this is an arranger workstation, often considered most at home in a studio setting, Yamaha has added a number of features designed to make live performance easier and more fulfilling. This includes two assignable live controllers, mod wheel, and two assignable foot pedal inputs, plus some enhancements to the performance accompaniment features such as half bar fill-in and mono legato function. Yamaha continues to employ its Super Articulation Voices, organ flutes and more from the Tyros series. A huge range of sounds, effects and Audio Styles — high quality percussion ensembles and drums recorded by world-class musicians — are available to the player. On top of this, there’s a synth vocoder function allowing the combining of human voice and onboard sounds, together with a vocal harmony system. The PSR-S775 boasts many similar features to the PSR-S975, but with a generally reduced quantity of such things as voices, styles, effects, and so on. In the promotional literature, more is made of the guitar and mic input on the S775, although in reality both models (as some previously) feature this, as the inclusion of vocoder functions suggests. It has an RRP of $1,699. 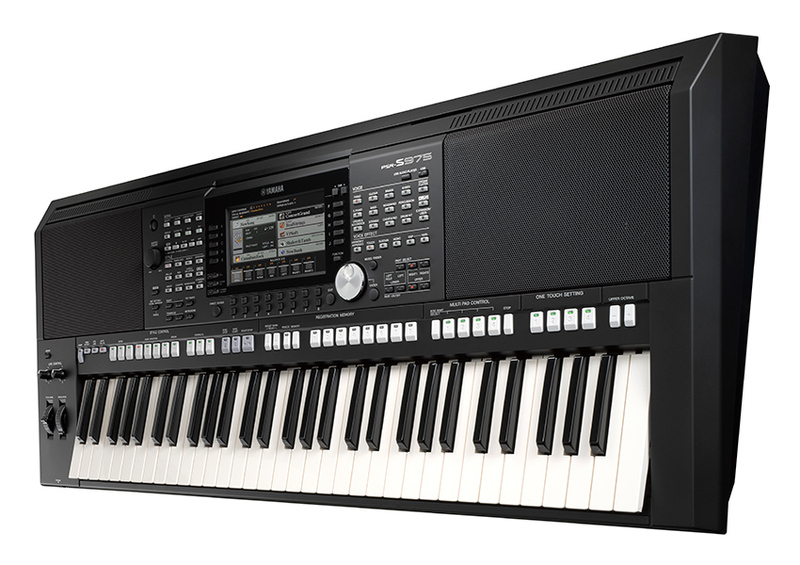 Both instruments seem worthy additions to the PSR-S line of Yamaha arranger workstations. To my mind, they sit somewhere in the middle of arranger workstation keyboards in general — even amongst Yamaha’s own. For example, although it’s not a deal breaker, it’s surprising not to see any models with more than 61 keys — particularly as this is aimed at both arranging and live performance work. Still no other features many would consider standard on a more expensive AW either, such as aftertouch. That said, these look like worthy additions to the PSR-S lineup, with the added benefit that prices on new and used models lower down the PSR-S pecking order should drop in price a little. Bear in mind, at time of writing, the PSR-S670, PSR-S770 and PSR-970 are still selling as new, and listed on Yamaha’s web site. Currently these new keyboards’ predecessors are listed with the same RRPs as the new models, although we expect that to change, particularly at online and store retailers.